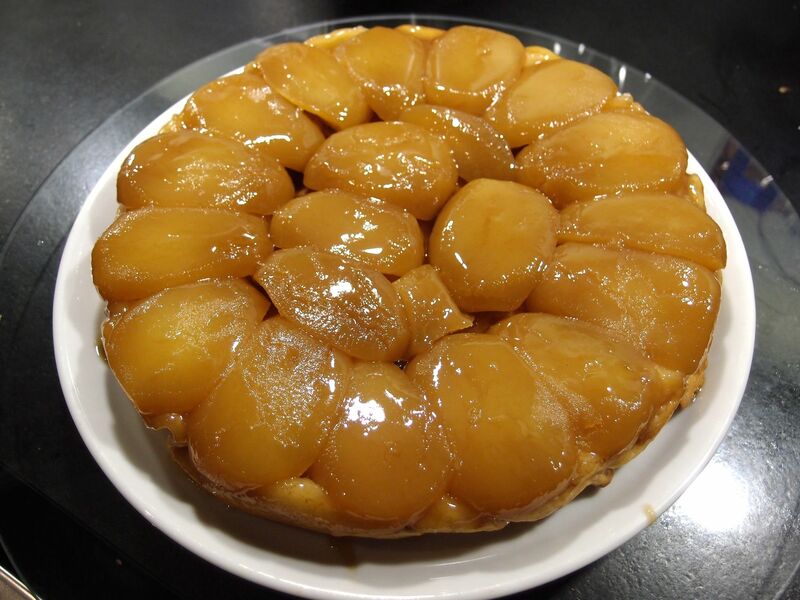 Tarte tatin is a french style of cake. Originally done with apples, can be done with other fruits. 8-9 apples ( I used golden delicious as they are now seasonal here), peel them, quarter them and let rest in lemon water. 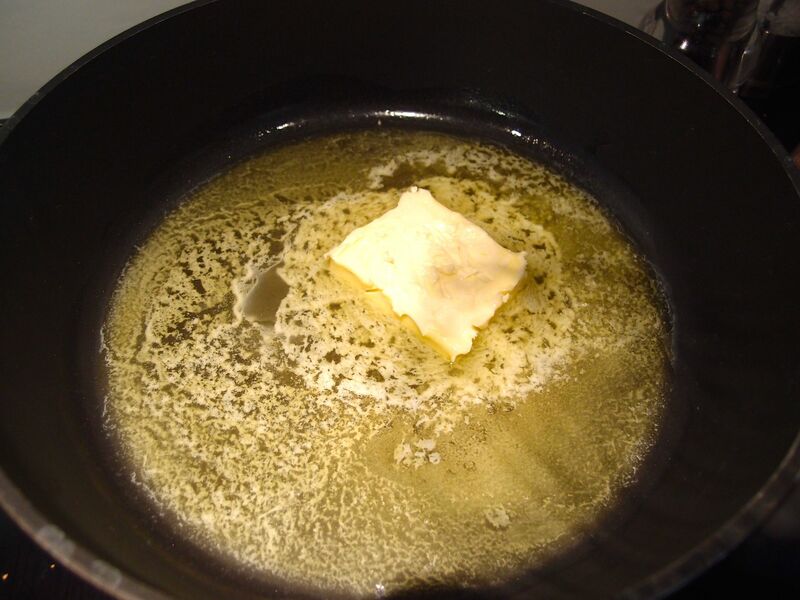 Heat the butter in a pan which is a little higher. 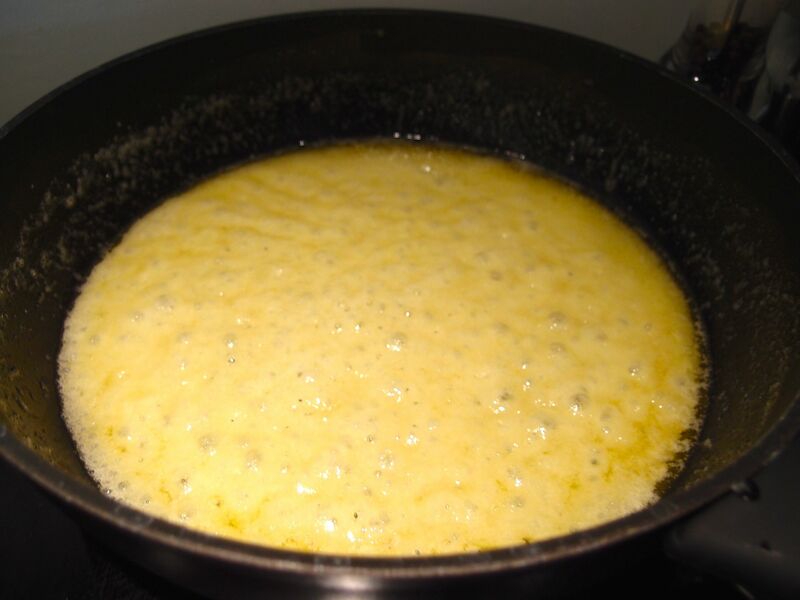 When melted add the sugar very slowly and mix with a whisk. Let it cook until it starts to caramelise and get a nice brown colour. Be careful not to burn it. Take it off the heat and let it cool down a little before putting the apple quarters. Try to arrange them at best in order to put as much as possible. 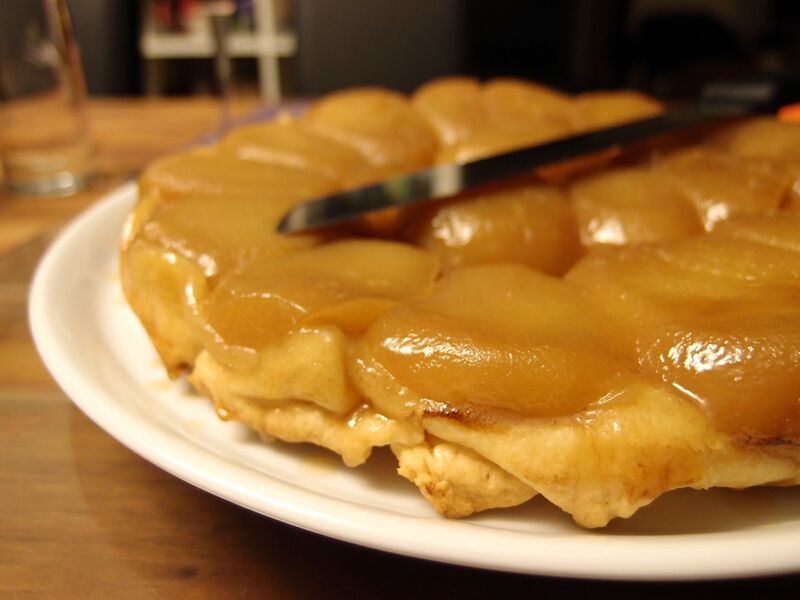 Put again on the heat and cook for some minutes in order to get the apples soaked in the caramel. In the meanwhile I prepared a silicone cake pan (you can use any kind of, just make sure it’s high enough). 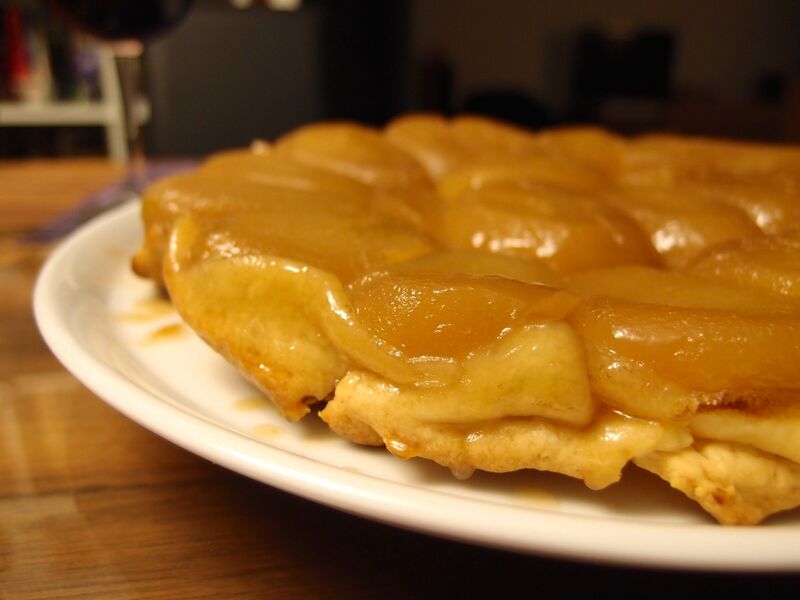 Arrange the apples in it and the put the caramel on it. Cover with the short crust pastry and tuck the overlap in it. Push down carefully the pastry over the apples to make sure there is no air pockets left. 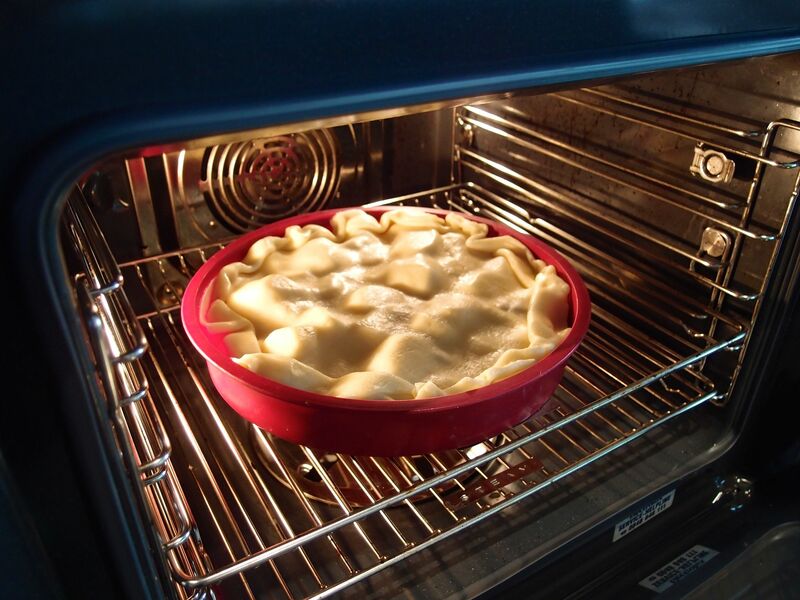 Put in the preheated oven at 180° for roughly 40-45 minutes (until the pastry is well baked). Let cool a bit and then cover the cake with a big plate before turning.